Who the heck is Tyler Smith? Well, I’m Tyler Smith (hi!) and I’m a former Realtor who made it BIG in real estate. I consistently sold over 300 homes a year. REALTOR Magazine named me one of the "Top 30 under 30” and my real estate team was listed as one of the Top 250 Teams by The Wall Street Journal. But before all that I was a 20-year-old kid who foolishly thought I could be an overnight success in real estate. When I actually became a Realtor the reality sunk in; I had no idea how to get business. I struggled for several years until I realized that the people in my life, my "sphere of influence," was the key to my success. When I focused on cultivating meaningful relationships with my sphere of influence, my business grew exponentially! My goal for this course is to help you do the same! This course is designed for new agents, seasoned veterans and anyone looking to get ahead in the real estate industry. Because referrals are the most effective way for Realtors to grow their business, it’s important to establish a network of people who will consistently refer you. Not only will you learn how to communicate with your sphere, you will learn that growing your sphere of influence doesn’t have to be a chore (I’ve got some great ideas up my sleeve)! The end result? An incredibly organized, effective and successful business based on referrals from people who love and trust you. Over 23 lectures and 1.5 hours of content! "Let me assure you that the videos are short, but the lesson activities are where the rubber meets the road. 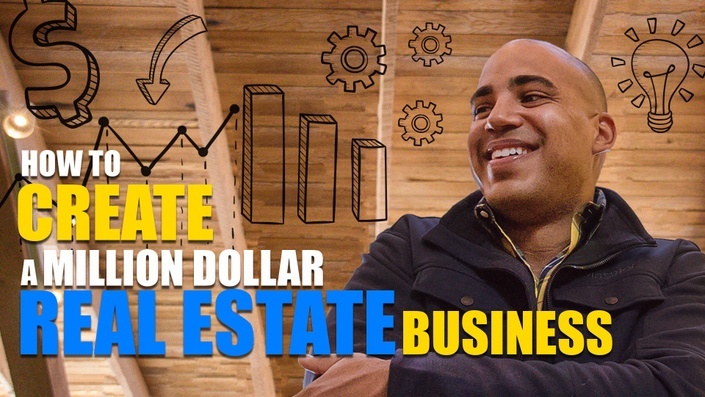 Tyler Smith was able to do in 1 hour of content what nobody else was able to do for my real estate career since I have started. Hands down, by far, the best investment I have made in myself and in my real estate career. You need this course. Trust me." "This is a course of such exceptional quality. Looking forward to finishing it and utilizing all of the tools! Tyler is THE BOMB!! Thank you for your generosity!" "Thank you so much for this course. I am excited to implement everything I learned into my business. The most valuable take away for me was realizing that I can start small and grow with my business, I don't have to do everything right away. Ty made suggestions in each section on how to build and maintain your sphere of influence. He not only gave examples, but shared his experiences on how he did it, and how we can too. This is a course I would recommend to anyone looking to grow their business." "I'm loving the course! I don't have a lot of spare time, so I appreciate the concise and practical advise Tyler has to offer. The high level of energy also helps me keep going when lots of other "todo" items are vying for my attention." "I loved how practical the course was! It really simplified the idea of your sphere of influence and then broke it down to bite size pieces and tasks, so that it had immediate impact on your business. I would highly recommend this to anyone trying to build their book of business!" Tyler Smith is a former top-producing real estate agent, 30 Under 30 alumni, and Founder and CEO of SkySlope. Today, Tyler devotes his full-time efforts to running and constantly growing SkySlope, the only online transaction management platform built by an agent, and sharing absolutely everything he learned about real estate on his journey to the top on his blog. It doesn’t matter if you are new to real estate, if you are a seasoned veteran or if you just want to grow your business. This course is for anyone who wants to build a sphere of influence and work off quality referrals. What I need to know or do before starting this course? Nothing! Honestly, the best thing that you could do to prepare for this course is to close your office door or find a quiet space where you can focus and give your undivided attention. You’re not gonna want to miss a second!